At Gold Financial, we pride ourselves on having a team of well qualified and experienced industry personnel. All members of the team are carefully chosen to provide professional assistance in their designated roles. Peter has had a long and distinguished career in Financial Services which includes several senior management positions with large Australian Financial Institutions. He is also a fellow of ANZIIF (Australian and New Zealand Institute of Insurance and Finance) and a Certified Insurance Professional. Peter is a major shareholder of Gold Financial and has been a Director since its inception in 2005. 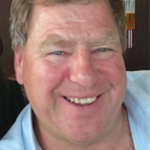 Peter is also a Responsible Manager for the Gold Financial AFS Licence and plays an active role in all major decisions that will have an impact on the Gold Financial’s future direction. Danyse has over 20 years experience of working in the Banking and Financial Services Industry. She is a Senior Associate of ANZIIF (Australian and New Zealand Institute of Insurance and Finance) a CIP (Certified Insurance Professional) and holds a Diploma of Financial Services (Insurance Broking) and Diploma of Financial Services (Financial Planning). Danyse’s primary role with Gold Financial is Head Office Manager. Her main responsibilities include providing administrative support to the Managing Director, assisting with the preparation of Business plans, budgets, financial reporting, manage accounts receivable/payable and provide monthly financial reports. In addition to this, she works closely with other members of the Gold Financial team to ensure that the office runs smoothly and is Company Secretary to the Board. Sheridan joined the Financial Services Industry at the beginning of 2011 as an Insurance Clerk/Receptionist. She had an immediate impact on her work colleagues and clients with her strong work ethic and desire to learn. She has already partially completed the Diploma of Financial Services attaining her ‘Certificate 3’. She intends to complete her Diploma as time allows. At the beginning of 2012, Sheridan assumed the role of Administration Manager for Gold Financial. She assists the Managing Director and Office Manager with daily administration tasks as well as attending to numerous requests from Gold Financial Authorised Representatives and staff. Sheridan is the youngest member of our team and brings with her a healthy dose of youthful enthusiasm. Bernie Toohey is the Chairman of Gold Financial and has over 30 years experience in Financial Services. He is a fellow Chartered Financial Practitioner (FChPF) and a Certified Insurance Professional (CIP). 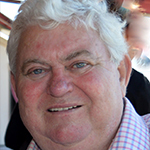 Bernie is a life member of the Association of Financial Advisers (AFA) and a past President for Victoria and Tasmania. He also served two terms as National Vice-President and various other roles including Education, Ethics and Compliance committee. Prior to working for Gold Financial, Bernie had a long and distinguished career as a Financial Adviser, culminating with being the recipient of the 2003 AFA Financial Adviser of the year award. Bernie has been a Director of Gold Financial since 2006. James has worked in the Financial Services industry for over 30 years. He works in his business with his partner Kerry and is passionate about the industry. James is equally passionate about community service, family, friends, football and enjoys winding around the countryside on his motorbike.